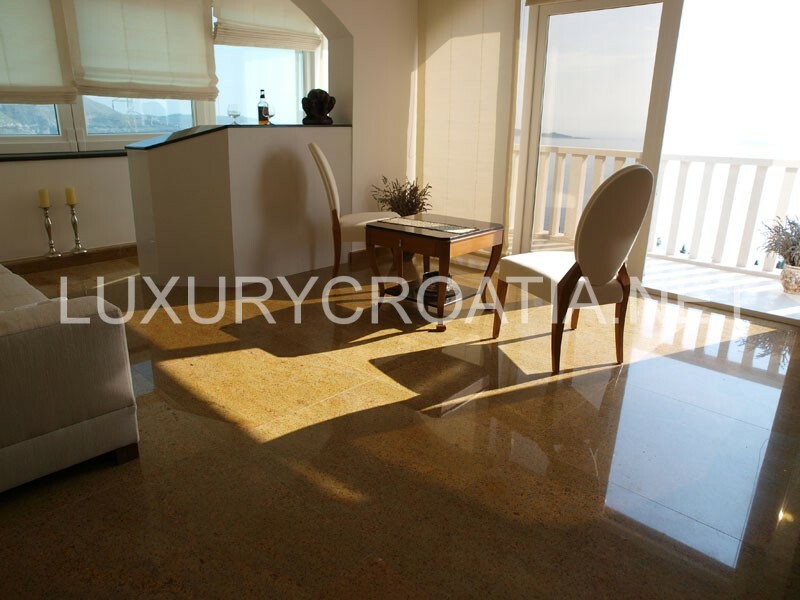 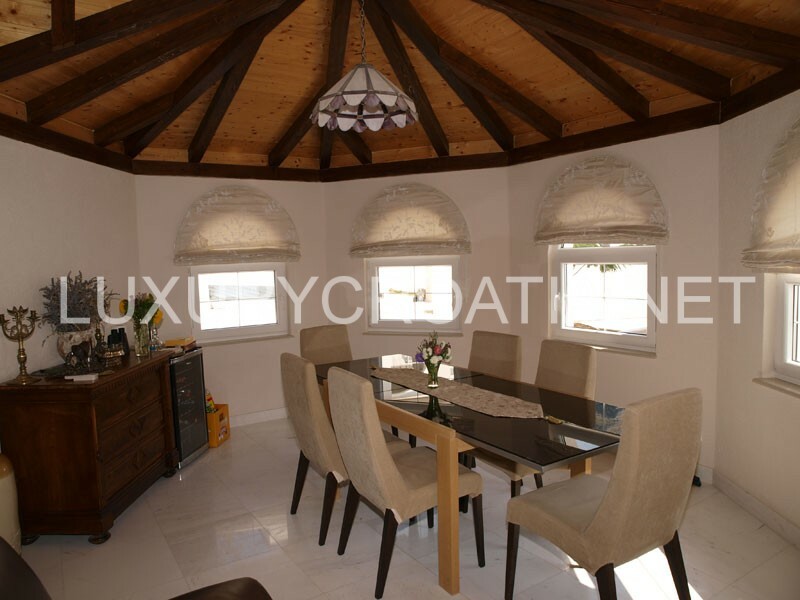 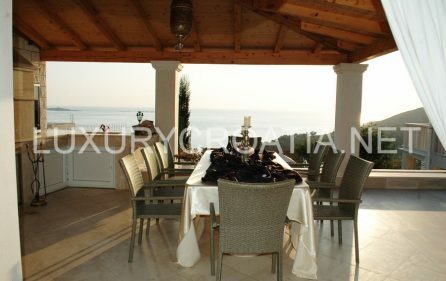 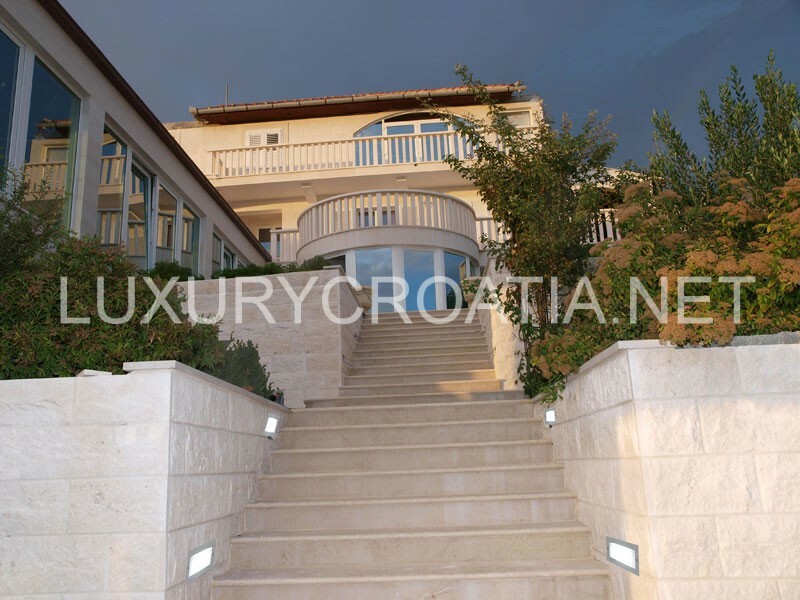 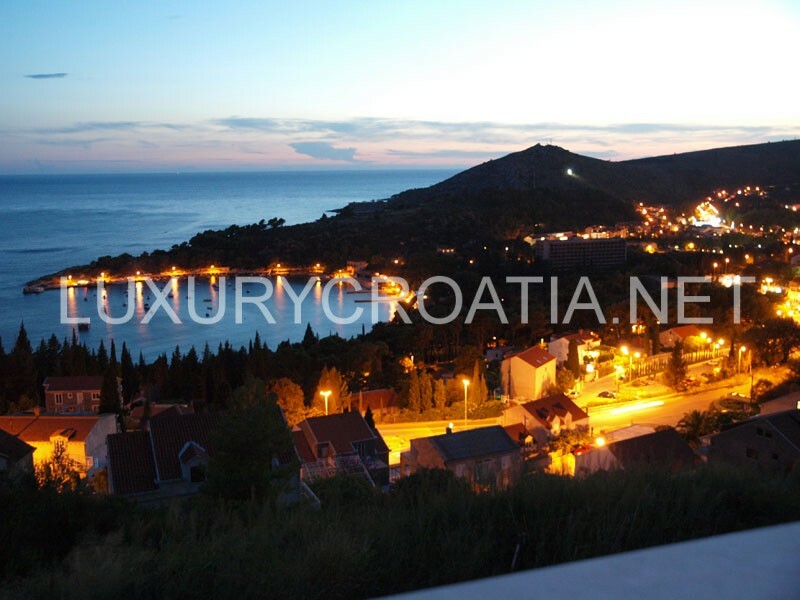 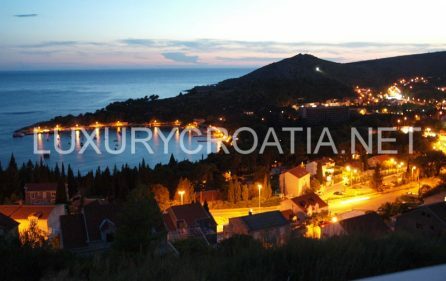 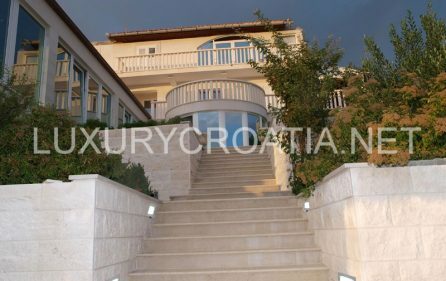 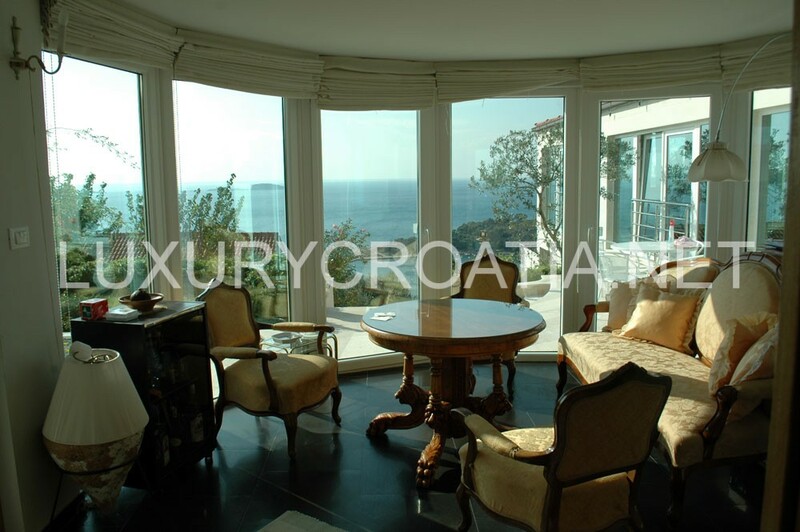 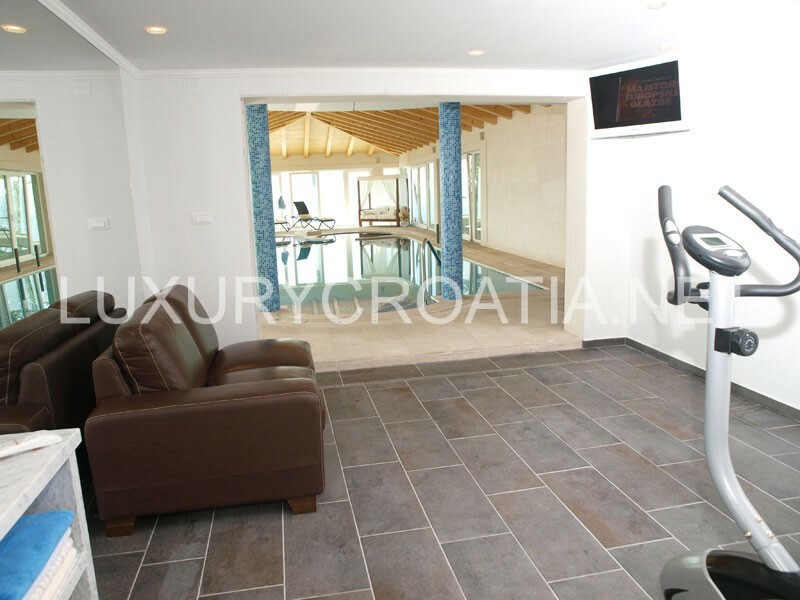 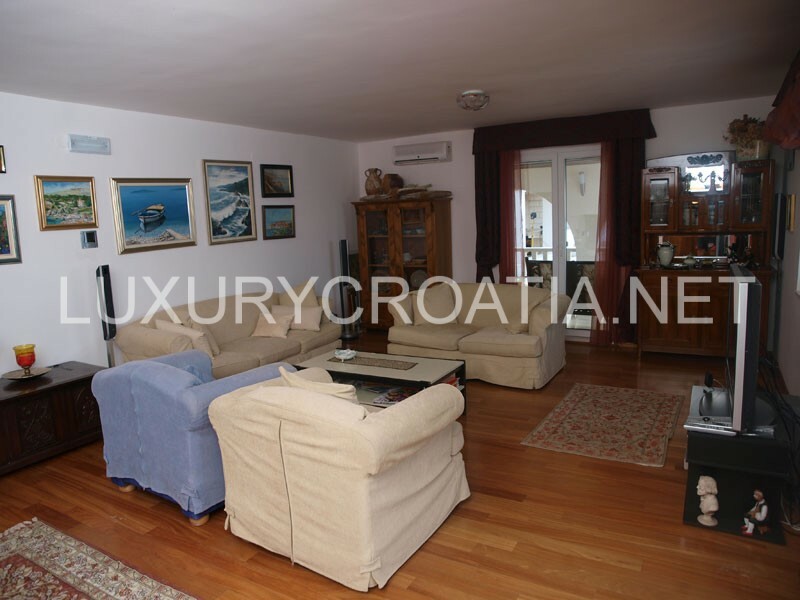 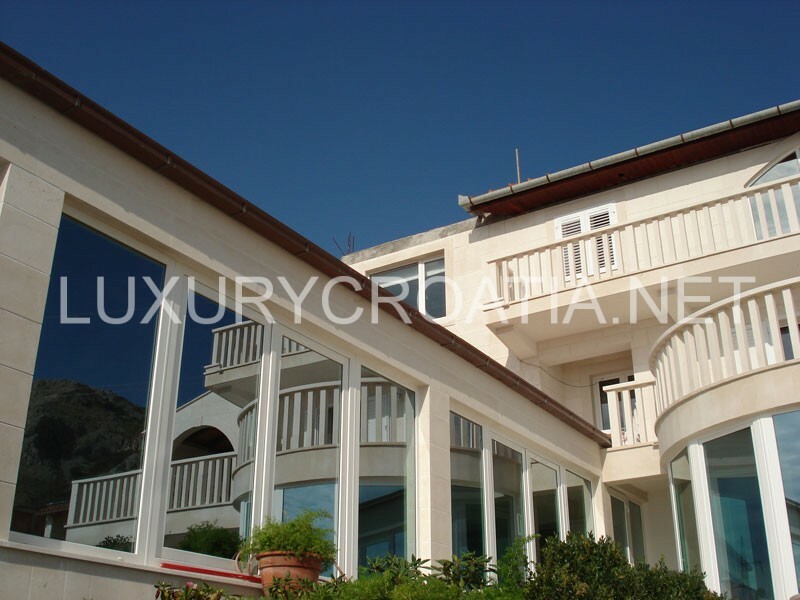 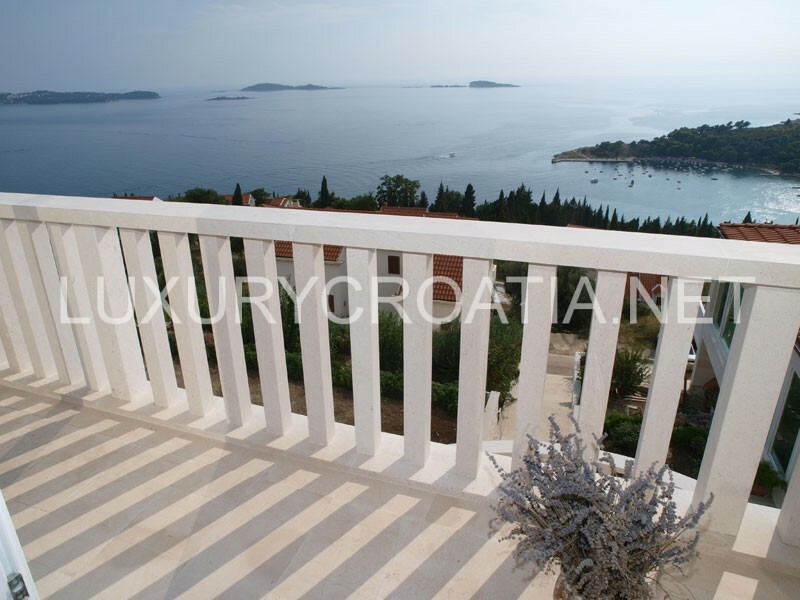 Luxury villa for sale, Cavtat, Croatia, the property extends over three floors and includes four bedrooms and five bathrooms. 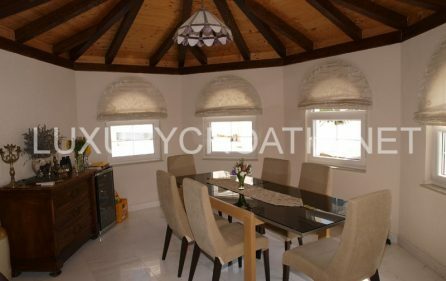 On the first floor, there is a spacious living room giving onto both a large terrace and a balcony, a kitchen and dining room, and a fourth bedroom. 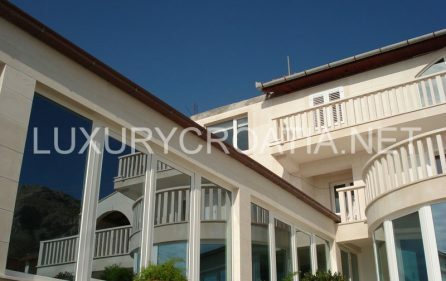 On the second floor, there are three bedrooms, all with en-suite bathrooms. 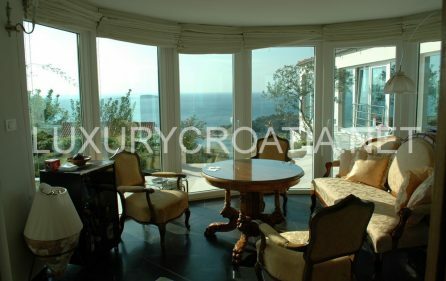 Each bedroom has satellite television, hi-fi equipment, air conditioning, telephone, internet and a safe for valuables. 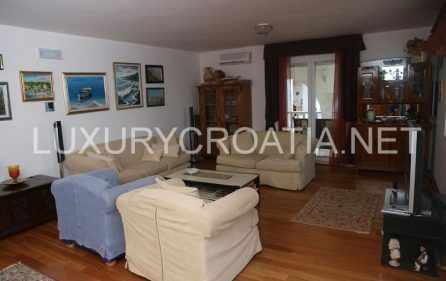 There is also a ‘walk-in wardrobe’. 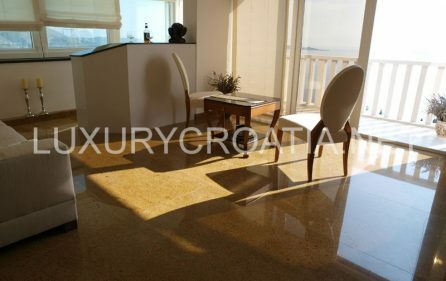 This floor has its own living room with a mini bar and its own large balcony. 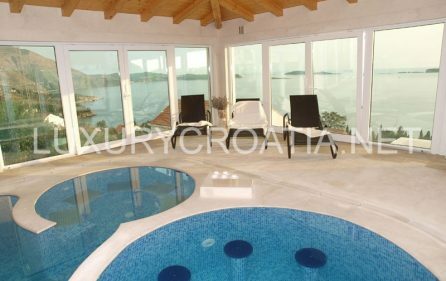 From the bedrooms and living rooms, there are glorious views onto the pleasant terraced Mediterranean garden with the blue Adriatic sea, the bay of Mlini, and nearby islands beyond. 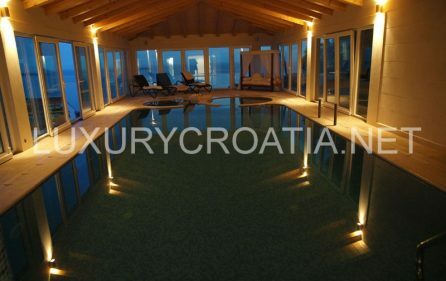 On the ground floor, you can relax in the luxurious private indoor/outdoor swimming pool whilst enjoying the magnificent views of the sea, bay, and sunsets. 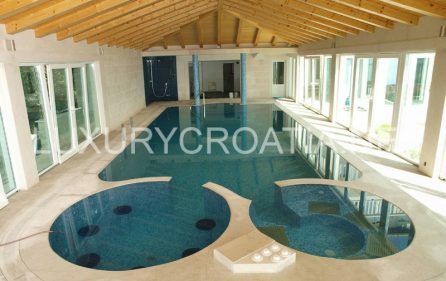 The pool is equipped with a whirlpool, Jacuzzi and pool bar with chilled drinks on hand and with access onto a large terrace for sunbathing. 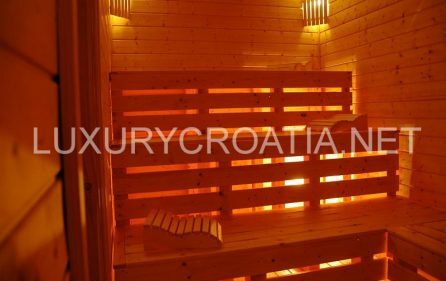 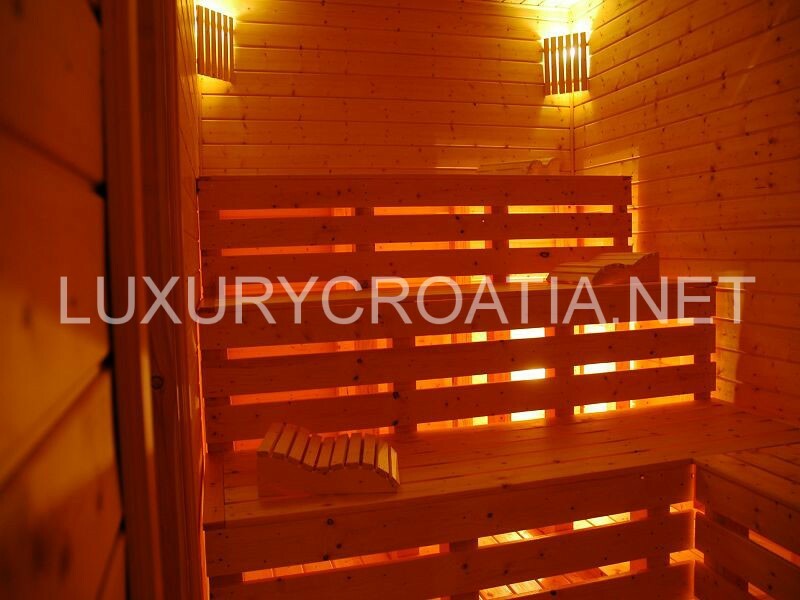 For our guests to keep in shape we offer sauna and fitness equipment and a mini wellness center, together with the possibility of providing professional massage and other treatment. 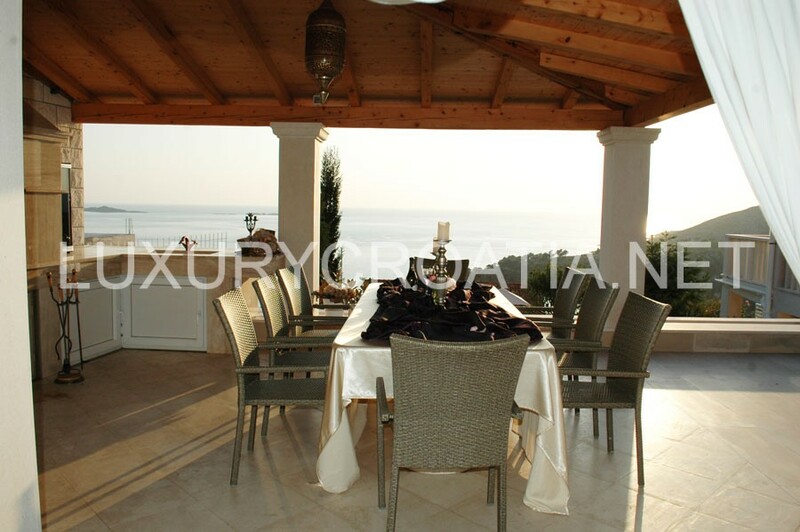 A large pergola with summer kitchen, fireplace, and dining space provides you with the ability to enjoy the breathtaking view and delicious food prepared with the flavor of the Mediterranean. 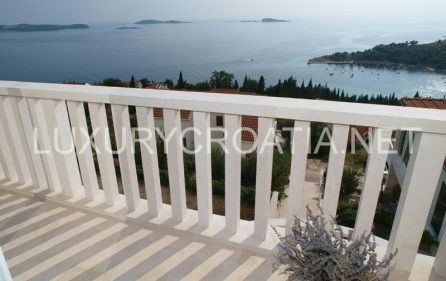 The surrounding garden area includes, in additional to a range of trees, plants and flowers, a variety of herbs and a small fish pond, together with a spacious garage, additional parking and video surveillance of the entire facility: just some of the details provided by one of the most beautiful residences in the entire Dubrovnik region. 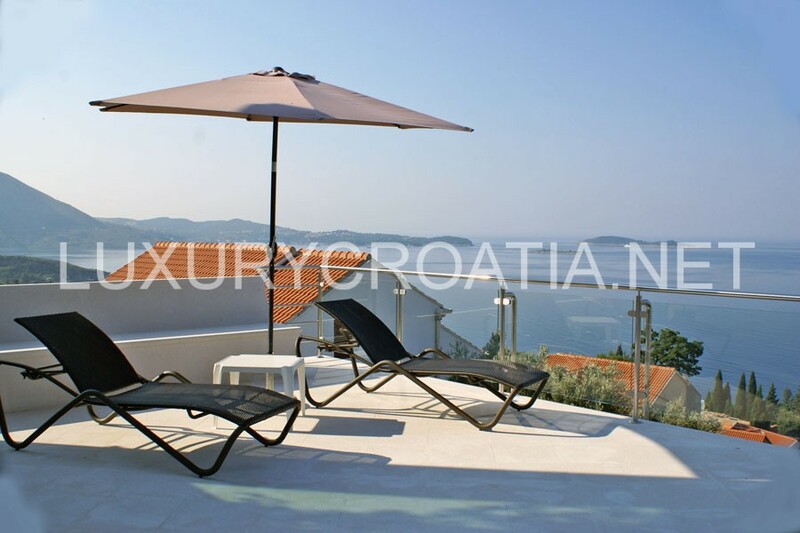 Stylish furniture characterizes the interior, combining tradition with modern comfort, offering privacy and relaxation such as will satisfy the requirements of the most discerning business people and family visitors.